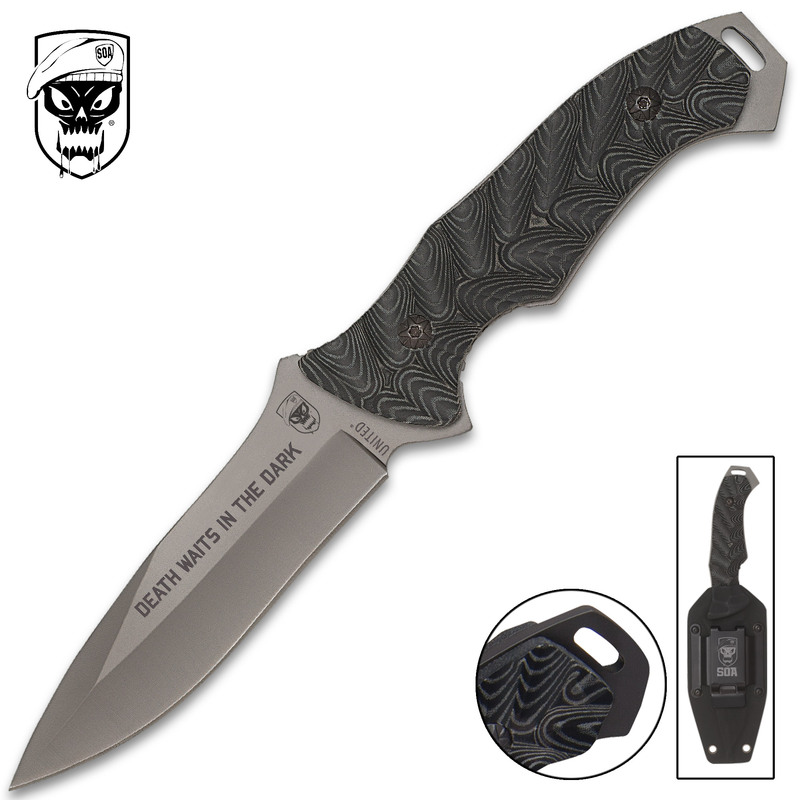 United Cutlery SOA Titanium Coated Micarta Handle Knife Kydex Sheath | BUDK.com - Knives & Swords At The Lowest Prices! This S.O.A. 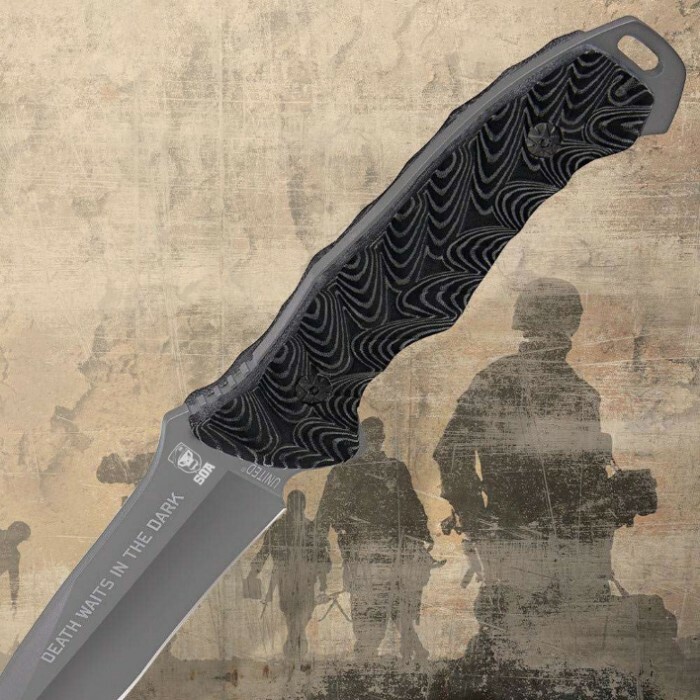 Assault knife features a contoured premium Micarta handle which gives it a tactical appearance. The full-tang 3CR13 stainless steel blade has a grey titanium coating to reduce glare and prevent corrosion. Each knife is etched with the S.O.A. emblem and "Death Waits In The Dark." "Good for Killing Pit Bulls, etc."